Is having police officers in schools a good idea? Having police officers in school is a good idea. Students will be forced to follow rules. Having police officers in schools helps rebuild trust between community members and law enforcement. 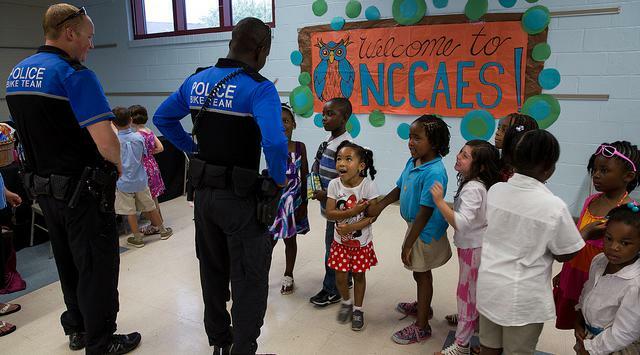 Having police officers in schools can make school staff, students, and parents feel safer. They will prevent students from committing crimes. There will be no violence, illegal drugs or weapons at schools brought in by students. Students and parents will feel safer. Police officers may bully and/or intimidate students. Schools are not like the world outside, kids usually do not commit serious crimes. Children may become fearful after graduation, having always been guarded by police in school. It may be temporarily necessary, but it is not a good idea because it does not address the underlying problem; terrible gun laws. Students will get a criminal record and will have problems to get a job. Students will be punished for things which are not serious. Students will feel scared and like they are in prison.